Community Assistance Center 2019 Charity Duck Race! Please see all sponsors listed below! Team with the most adoptions will receive a photo opportunity with Quack E Duck and a press release recognizing their achievement. What is the Community Assistance Center Charity Duck Race? 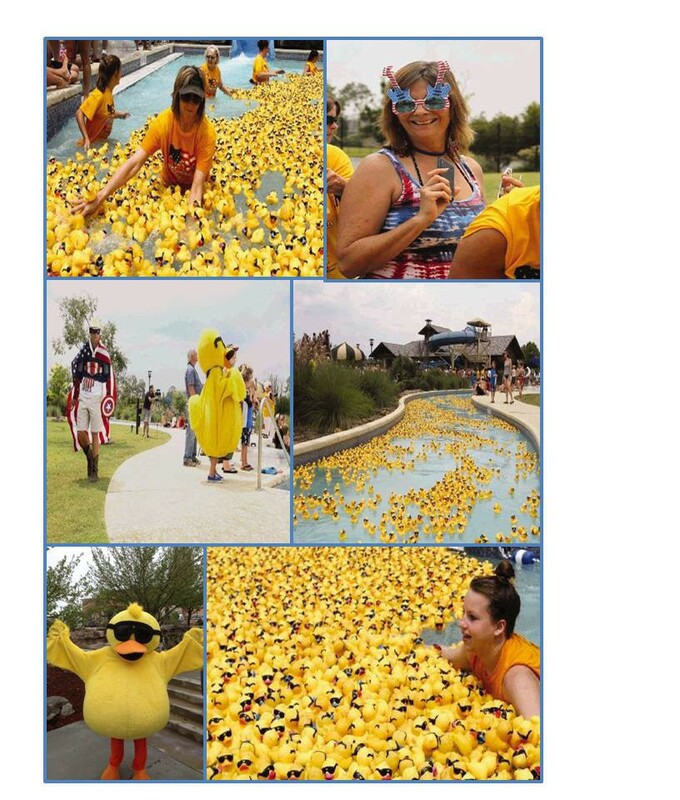 An estimated 5,000 yellow rubber Race Ducks, sporting ultra-cool sunglasses, will appear at Rob Fleming Aquatic Center, Saturday, August 24, 2019 at 6:30 p.m. The ducks will tumble, splash, bob, and slosh their way their way down the Center's Lazy River, racing to the finish line to win GREAT prizes for their adopters. How does my Duck Race entry (my charitable contribution) benefit the community? Your support helps CAC provide immediate basic needs assistance with food, clothing, utilities, rent and mortgage payments as well as long term case management services. Additionally, CAC offers education and ID restoration programs, homeless care kits and more. All programs provided by CAC promote self-sufficiency and healthier lives for those we serve. In addition to the ongoing services we provide, Community Assistance Center plays a significant role in disaster recovery. Who are this year's Supporting Sponsors of the Community Assistance Center Great American Duck Race? We offer special thanks to this year's Presenting Sponsor - Praxair, Inc. Also, special thanks to these compassionate Supporting Sponsors listed below who are making significant contributions to the success of the event. Like you, we believe in a bright future for families of Montgomery County. When you ADOPT A RACE DUCK our neighbors struggling through times of financial crisis receive the help they need to return to self-sufficiency.